Aujourd’hui, 4 PME/TPE sur 5 sont présentes sur Internet mais seules 19% font actuellement de l’e-commerce. Et seulement 24% l’ont déjà envisagé. Les dirigeants de ces entreprises sont bien conscients que l’e-commerce peut influencer positivement leur marché et leur chiffre d’affaires mais ils semblent avoir du mal à passer le cap. Amazon is known as the “everything store.” But now more than ever, Amazon isn’t just about selling everything. It’s an everything business. IN HIS SEMINAL book detailing the history of the world’s largest online retailer, journalist Brad Stone dubbed Amazon the “everything store.” But now more than ever, Amazon isn’t just about selling everything. It’s an everything business. During its annual conference for Amazon Web Services users last week, the company introduced a range of cloud computing business services that layer on top of its cloud computing infrastructure. Not content to challenge entrenched enterprise players like IBM, Oracle, and Microsoft, Amazon signaled it would compete against newer data upstarts too, including data visualization companies Tableau and ChartCube. Now more than ever, Amazon isn’t just about selling everything. It’s an everything business. At the same time, Amazon was launching Handmade, an Etsy-like online marketplace for artisanal goods. Even as all of this was unfolding, Bloombergreported that Amazon is in the preliminary stages of launching an online live TV service to complement its popular Instant Video offerings, and it likely will run on its Fire TV hardware. And late last month, the company launched Flex, an Uber-like platform where on-demand workers could pick up shifts delivering packages. The funny part is that these seemingly disparate businesses still represent but a fraction of the full range of the company’s ambitions. So just what the hell is Amazon up to? The thing is, Amazon has always dabbled in many corners of the tech industry as it’s pursued its well-worn mantra of “growth before profits.” And that means the company is more than the world’s largest retailer. It’s also an Internet of Things company. A device maker. A payments company. The list goes on. Some bets, like its massive cloud computing service, Amazon Web Services, have proven hugely successful. Others, like the Fire phone, have …. not. But throughout its history, Amazon has differed from its competitors in one distinct way. At key moments in its evolution, it has realized that innovations that have served it well internally likely would have a market externally as well. That realization has helped drive some of Amazon’s greatest successes. In offering those advantages to others, Amazon has created a virtuous circle of success for itself and its business customers. In becoming the everything business, Amazon has become everything to many businesses, as well. That certainly is true of Amazon’s cloud services. Theeffort started in August, 2006, when Amazon introduced the Elastic Compute Cloud (EC2). It gave users virtually unlimited computing power on the heels of a complementary offering called S3, which provides virtually unlimited data storage. Together these services formed the core of what’s known as Amazon Web Services. As my colleague Cade Metz wrote in 2012, Amazon’s reasons for making its cloud public when it did is a bit of a mystery. (“The story of EC2 is like Rashomon,” he wrote.) But it wasn’t long before the company realized the potential of its vast cloud computing capabilities—and moved to monetize it. Just six years after it launched, the company’s cloud computing infrastructure was estimated to run as much as 1 percent of the entire Internet. In April, the company broke out the financial details of AWS for the first time—revealing it was a massive $4.6 billion business. According to Amazon’slast earnings report, its cloud business soared 81.5 percent to $1.82 billion, accounting for 8 percent of the quarter’s revenue. It also contributed to asurprise Q2 profit. Last week, at its user conference, AWS’ senior vice president Andy Jassy said Amazon is expecting revenue from the cloud unit to be even higher than initially thought. He projected that over 1 million enterprise customers on the platform would generate $7.3 billion in revenue. Competitors—especially Microsoft and Google—are catching up. And though $7.3 billion is a huge number, it’s but a fraction of the nearly $200 billion Forrester sees as up for grabs for cloud services by 2020. The strength of Amazon’s cloud business also helps it in other, less immediately monetizable ways. It gives Amazon a big stake in mobile, for instance. Though its Fire phone was a bust, Hammond points out that mobile developers who build iOS and Android apps still frequently use AWS for the backend connectivity and storage for their app data. “In that area, Amazon is increasingly competitive as a mobile infrastructure service,” he says. You may not realize that much of what is sold on Amazon is not sold by Amazon but by retailers who use Amazon as a storefront. Often, through a program called Fulfillment by Amazon, these merchants store their inventory in Amazon warehouses and rely on Amazon to ship their goods, often via Amazon Prime. It’s another service that’s generating billions. Third-pary sales grew around 25 percent, year over year, in the third quarter of this year, according to ChannelAdvisor’s data, against an overall e-commerce backdrop of 15 percent growth. According to the company’s last earnings report, third-party merchants accounted for 45 percent of all items sold on Amazon during Q2, up from 41 percent last year. Though Amazon doesn’t report the dollar value of those sales, ChannelAdvisor estimated that third-party sellers accounted for 58 percent of the $48.3 billion in merchandise sold on Amazon sites during the quarter. ChannelAdvisor also estimates that Amazon’s business is closing in on $10 billion per year in revenue from commissions on third-party sales—and that it’s making a profit on those sales. Meanwhile, the other big public marketplace, eBay, Wingo says, is growing low single digits. “Amazon is gobbling up market share,” says Wingo, adding that what Amazon is raking in is the equivalent of five to ten JCPenney e-commerce businesses. So, yes, the 21-year-old company would seem to have its hand in everything, from producing Emmy-winning original content to enterprise computing to selling sneakers. Not every endeavor is successful. But like the best tech companies, Amazon knows how to iterate. If one thing doesn’t work, it tries another. And as the Fire Phone showed, it certainly doesn’t wait until its next product is perfect. But it turns out Amazon does have one pretty good gauge of what will become a big seller. If it works for Amazon, it’s going to work for somebody else, too. When you try everything, chances are, you’re going to get something right. eCommerce is one dynamic sector that has revolutionized the way a consumer shops for goods and services in a mobile world. The basic goal of every eCommerce company is to bring the best of offline shopping experience to the online space, by offering the consumers a seamless way to discover the products they are looking for. The avenue is taking a big leap towards becoming the facilitator of a more efficient, personalized, even automated customer journey with the introduction of cognitive technologies and the employment of ‘smart data’. Today, the most important area of focus in eCommerce is hyper personalization which could be facilitated only by learning consumer behaviour and making predictive analyses with the help of the huge amount of data collected from user activities on smartphones, tablets and desktops, and intelligent algorithms to process them. Machine learning and artificial intelligence are no more restricted to personal assistance technology, smartphone companies are creating. They have flouted these conventions to disrupt a much wider space with limitless possibilities. One of the areas radically transformed by AI is eCommerce. It is an AI driven feature that enables users to discover what they want at the click of a button. All one has to do is, take a picture of what one likes and put it on the search bar of the eCommerce platform. The engine would then search through all the possible matches, rank them and prioritize them before placing the options before the user. Recommendation is widely practiced by eCommerce companies to help customer find the best of what they are looking for. Recommendation algorithms work in multiple ways. For example, Amazon.com recommends its users depending on their activities on the site and past purchases. Netflix recommends DVDs in which a user may be interested by category like drama, comedy, action etc. eBay on the other hand collects user feedback about its products which is then used to recommend products to users who have exhibited similar behaviours. And this continues to evolve with several permutations and combinations in place. These agents are fully automated and have control over their actions and internal state. They interact via an agent communication language. Further, they not only act in response to their environment but are also capable of taking initiatives like generating their own targets and act to achieve them. Consumers are forcing retailers to alter pricing strategies, so it is imperative for multichannel retailers to be flexible with their price structuring in order to retain their customers. To do the same, they are employing Assortment Intelligence, a tool that facilitates an unprecedented level of 24/7 visibility and insights into competitors’ product assortments. Retailers can keep a tap on their competitors’ product mix, segmented by product and brand, percentage of overlap, which gives them the ability to quickly adjust their own product-mix and pricing with high accuracy. In December 2014, Baidu unveiled speech recognition technology dubbed “Deep Speech.” Although the technology is still nascent, once it is developed optimally, it can make shopping literally interactive, enabling the customer to have a real time seamless voice conversation with the virtual shopping assistant on the eCommerce platform. In case of India, eCommerce biggies like Flipkart, Snapdeal and Amazon are proactively investing fortunes in AI research and development. Apart from intelligent chat facilities, these companies have introduced image recognition feature to their platforms which is attributed to deep learning. According to Sachin Bansal, CEO, Flipkart, artificial intelligence is a key differentiator in the fiercely competitive business of online retail. He believes, “the big disruption that is happening across the world is the rise of artificial intelligence.” Therefore, by combining social, mobile, big data analytics and AI, Flipkart attempts to build human brain-like capabilities to sell smarter to its more than 45 million registered online buyers. Recently, the company launched its messaging service on its app, called Ping. It serves as a shopping assistant embodying artificial intelligence, to help users easily discover the item they are looking for on its platform. Likewise, Flipkart has just announced that it is working on automating its supply chain to reduce shipment time and increase accuracy to ensure zero customer complaint. Confirming the news, Adarsh K Menon, VP, Business Development said, “We want to use data smartly and intelligently at our backend for personalisation in customer offerings, service offering, supply chain offerings. We have regular customer base of 45 million. We will use technology, look at buying behaviour and preferences of customers and then personalized our offerings. If we use data, which is available with us, intelligently, we will be able to give best shopping experience to customers”. Snapdeal is reportedly investing $100 million into a new multimedia research lab in Bangalore. The company’s app- findmystyle employs image recognition technology and machine learning algorithms, to make search results faster, accurate and tuned to the specific consumers. It would be an understatement if we say, “Artificial Intelligence is the next big thing”, for it is already here, and of course, with a bang! Tech juggernauts across the world are advancing at an incredibly impressive pace towards the crux of this technology. Google for example, is conducting a highly advanced research on AI called Thought Vectors, in an attempt to infuse common sense into machines. Similarly, Apple, Facebook and Microsoft are working on their respective projects on AI development. Expressing himself on the future scope of Artificial Intelligence in eCommerce, Navneet Sharma, Co-Founder & CEO of AI-linked startup Snapshopr, maintains, “Not very far from today, eCommerce apps will know in advance know what you need and will order them automatically for you.” Adding further, he stated with conviction that nothing is impossible with AI. It’s only limited by time and computing resources. 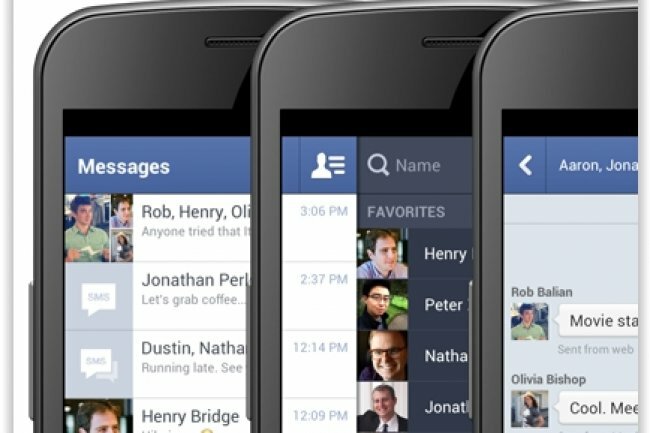 F8 : Facebook ouvre Messenger au e-commerce – Le Monde Informatique. Le géant du réseau social Facebook va permettre aux développeurs tiers d’utiliser son application Messenger pour y ajouter des fonctions de communication orientées clients. Hier, lors de la conférence F8 de Facebook, le CEO, Mark Zuckerberg, a donné deux exemples de l’ouverture de son application Messenger aux développeurs tiers, sachant que d’autres ajouts devraient suivre. Pour commencer, le réseau social va ainsi permettre aux entreprises d’utiliser Messenger pour communiquer avec leurs clients. Par exemple, après l’achat d’un produit sur un site web, l’acheteur pourra communiquer avec l’entreprise via Messenger pour dire qu’il s’est trompé dans sa commande, ou pour suivre la livraison de son colis. « C’est mieux que de prendre son téléphone pour contacter le service client », a estimé Mark Zuckerberg. « En général, la plupart des gens rechignent à faire cette démarche, ni rapide, ni très moderne non plus », a-t-il ajouté. Facebook va également laisser les développeurs intégrer des applications tierces à Messenger, pour que les gens puissent envoyer des messages plus riches. Le CEO de Facebook a notamment cité l’app JibJab qui permet de créer des messages animés. Mais ce n’est pas la seule : il y a aussi Bitmoji, Legend et d’autres encore. Et ce ne sont que les premiers exemples de cette ouverture de Messenger. « Nous ne voulons pas aller trop vite et nous voulons nous concentrer sur un petit nombre de fonctions », a déclaré Mark Zuckerberg. Depuis l’an dernier, Facebook oblige les utilisateurs à passer par Messenger, le réseau social ayant supprimé la fonctionnalité de messagerie de sa principale application mobile. Beaucoup d’utilisateurs n’ont pas très bien accueilli la nouvelle. Néanmoins, aujourd’hui, l’outil compte tout de même 600 millions d’utilisateurs. On savait depuis un certain temps, à cause des nombreuses fuites, que le réseau social voulait transformer Messenger en « plateforme » ouverte à des tiers. D’une part l’ajout de nouvelles fonctionnalités incitera les gens à passer plus de temps dans l’application. De plus, selon Mark Zuckerberg, Messenger peut potentiellement devenir un « très important outil de communication pour tous ». L’application vient aussi empiéter sur des apps concurrentes comme Yelp, qui permet déjà aux utilisateurs de contacter directement les entreprises via l’application. Toujours lors du F8, Mark Zuckerberg a annoncé que Facebook permettrait aux gens de poster des vidéos à 360 degrés dans leur News Feeds. Ces vidéos de réalité virtuelle sont filmées avec des périphériques disposant de plusieurs caméras, comme la « caméra » 360° 3D Project Beyond de Samsung. « Si aujourd’hui l’usage de la vidéo est en plein essor sur Facebook, demain ce sera au tour de la réalité augmentée et de la réalité virtuelle », a déclaré le CEO. Le F8 se tient depuis hier dans le Fort Mason Center de San Francisco, ferme ses portes aujourd’hui. Les keynotes et certaines séances sont diffusés en direct. Selon Facebook, cette année l’événement a accueilli 3000 développeurs, contre 750 lors de la première édition de 2007. À l’époque, le nombre d’applications développées pour le site Facebook ne dépassait pas la centaine. Aujourd’hui, des millions de sites web et d’applications utilisent des services dans le genre de Facebook Login. New Independent Study Reveals Major Disconnect Between Brands and Today’s Connected Consumers – Kitewheel. BOSTON, MA – October 8, 2014 – Kitewheel, the provider of the No. 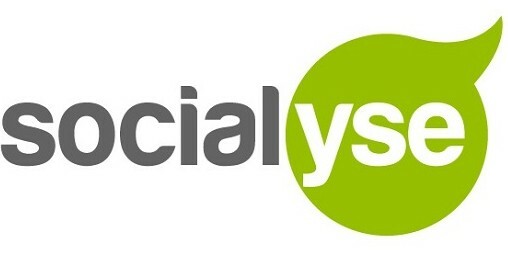 1 real-time customer engagement hub for marketing agencies, today revealed findings of an independently commissioned study, “The State of the Customer Journey 2014,” that examines the current breakthroughs and breakdowns in engagement with today’s connected consumer. As new technologies and digital channels reshape the landscape of human interaction, the study reveals a significant disconnect between consumer expectation around experience and brand execution. Real-time eCommerce presents a huge opportunity for brands, as 91 percent of consumers feel an “in the moment” offer might influence their purchase. Yet only 32 percent of marketers have the tools in place to deliver upon this “real-time” promise in practice, with most offers arriving too late to make an impact. Three-quarters (76 percent) of consumers use mobile devices to compare prices and read reviews while shopping, yet 51 percent of marketers are not currently managing mobile apps as a consumer touch point. Additionally, 55 percent of consumers state frustrations in downloading an app that offers no functional difference from a business’ website. Sixty-eight percent of consumer respondents expect a response to tweets directed at a brand, and one in three expect a response within 24 hours. Yet 45 percent of marketers state it is unlikely that their company can respond to every one of these social media opportunities. Nearly three-quarters of consumers (73 percent) believe that loyalty programs should be a way for brands to show consumers how loyal they are to them as a customer; but two-thirds (66 percent) of marketers still see it the other way around. To download the entire report and corresponding infographic, please visit www.kitewheel.com/journey2014. 10 US digital marketing statistics we’ve seen this week | Econsultancy. There’s been so much press about Alibaba’s upcoming IPO, since it was mooted in March. Well the company has filed its F-1 registration form this week. According to cnet the IPO looks to be worth roughly $1bn [≈ box office sales of The Jungle Book, 1967] with predictions as high as $20bn [≈ NASA budget in 2011]. Bloomberg reports Alibaba’s market value as $168bn [≈ Annual cost from car accidents, 2008], which is pretty darn big. Sharethrough has worked with IPG Media Lab to look at native ad effectiveness using eye-tracking (200 consumers) and surveys (4770 consumers). The study attempted to measure visual attention and brand lift for native ads including National Geographic and Southern Comfort. 25% more consumers were seen to look at in-feed native ad placements than display ad units. Native ads registered 18% higher lift in purchase intent and 9% higher lift for brand affinity responses than banner ads. Firstly, according to figures collected by Locket, the Android app that pays users for to allow homescreen ads, the average user checks their phone around 110 times day. This comes from this digital stats blogger this week, where I picked up the next couple of figures, too. We’ve made as much as $50,000 [≈ Median US household income, 2009] in one flash sale on Twitter. That’s according to Ryan Holiday, Director of Marketing at American Apparel. Quartz has given some interesting insight into Twitter’s first quarter revenue. Although the $250m [≈ cost of Airbus A380, the largest passenger airplane] beat analyst expectations, stock fell. This is possibly because ad revenue for each timeline view has decreased and Twitter’s user growth has been modest. 255m people use the service, up from 241m at the end of 2013. IDC Retail Insights published the results of its 2013 Annual Shopper Survey about relevancy and privacy. 53% of shoppers would choose privacy over relevancy, and 47% vice versa. But 62% believe that they do not have enough control over their privacy when it comes to retailers. Only circa 50% of retailers have a formal governance process for managing “give to get” data. Three in four consumers trust some non-retail brands, data aggregators such as Google included. Viewers of original digital programming prefer it to news, sports and daytime programming on television, and like it almost as much as they do primetime TV. 22% of American adults watch original digital video each month. That’s 52m per month. 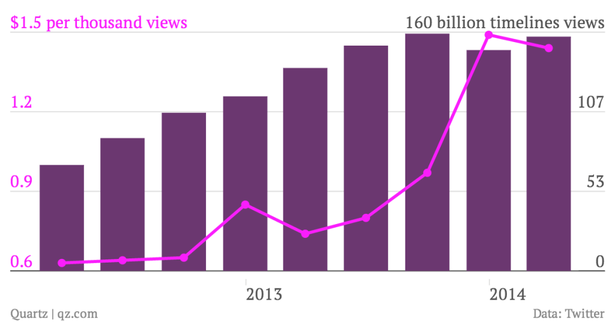 These viewing figures show a 15 percent increase from 2013. The main driver for watching digital content is flexibility of viewing (41% cite this as an advantage). Smartphones (by 46% of digital viewers) and tablets (by 41%) are now being used more than ever to view this sort of programming. Half of digital viewers (48%) use smart TVs. Viewing habits also differ for those watching made-for-digital content. More than half of monthly original digital video users say their viewing is unplanned. For TV (online and off) this unplanned figure is one quarter. Original digital video viewers conduct more social media activities related to the shows they watch online (52%) than they do for primetime TV (38%). WP Engine has announced the results of its WP Engine Content Creation Study. The survey examines consumer behavior and sentiment towards brands producing their own content. 62% of Americans want to see content directly from their favorite brands. 44% want tips on using a brand’s products. A whopping 96% don’t want celebrities parading a company’s products. Two out of five consumers prefer to read a brand blog rather than a magazine or website. 40% of consumers said that there are negative effects if brands do not produce blog content. 52% prefer to go directly to the brand website, with only 25% going via social media. This Poynter article is worth a read. It throws light on circulation figures that may not be as high as some outlets are reporting. Basically the point is that a year ago, circulation figures had to be 70% paid, so app use wasn’t included because the app is free. However this year, it seems this rule is no longer, so the app figures are included and it appears that circulation has massively shot up. But USA Today’s story celebrated the circulation figures. Forrester’s “US Online Retail Forecast, 2012 to 2017,” predicts online shopping will reach$371bn [≈ cost of US-Korean War] by 2017, hitting 10% of all retail sales.